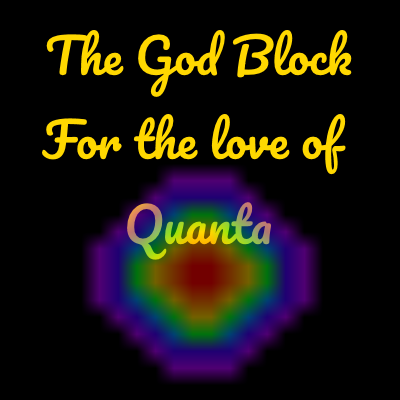 A mod created for the new pack of the same name God Block. A block meant to be used with voidislandcontrol to produce a world made of just it. So that the player can spawn in nothingness. Harvest nothing and begin creating existence. Harvesting the nothing produces quanta, atomic string, and universal binder which can be used to initially create dirt, seeds, saplings, iron and gold ingots, and eventually the nothingness itself. These recipes are included by default to show you the possibilities available with the variations provided. 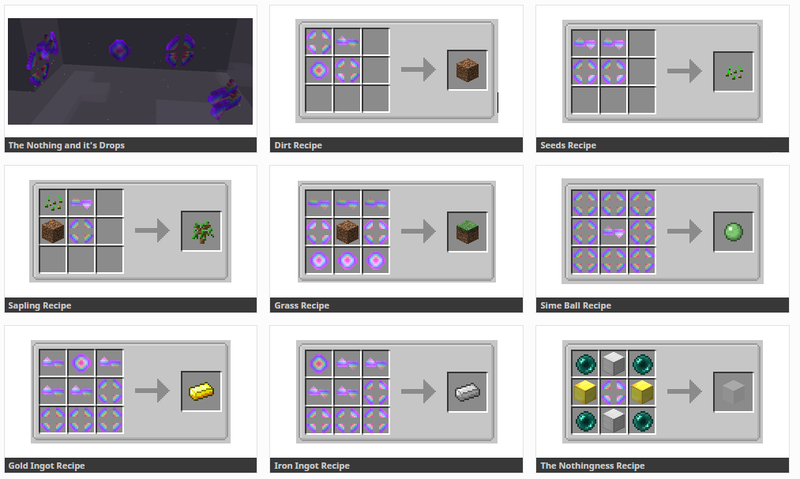 It is highly recommend the pack developer to use Crafttweaker to create custom recipes for gating the additional mods thru The God Block using it's various components. It is not recommend to just add this mod simply because it is there. The block does not do worldgen.